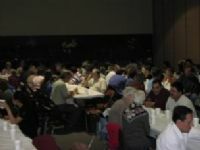 St. Jude Council #11293 of the Knights of Columbus is located at St. Jude Catholic Church in Allen, TX. The council was chartered on April 1, 1994 by the Supreme Council of the Knights of Columbus through the dedication and work of 32 men of our parish. The council is named after the Apostle St. Jude, also known as Thaddaeus, who was a brother of St. James the Less, and a relative of Our Savior. St. Jude Thaddeus is invoked in desperate situations because his New Testament letter stresses that the faithful should persevere in the environment of harsh, difficult circumstances, just as their forefathers had done before them. Therefore, he is the patron saint of desperate cases and lost causes. We have since grown to over 400 members. 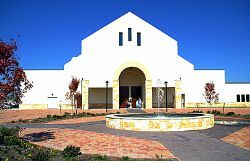 Our members serve in a variety of ministries here at St. Jude Catholic Church; from extraordinary ministers of the Holy Eucharist to Ushers, as well as volunteers in various capacities serving the community of Allen, Fairview, and Lucas Texas. We are thankful to the St. Jude parishioners the Allen, Fairview, and Lucas communities for the fantastic support of our council! Our monthly meetings are held on the third Thursday of the month in Room 109 of the Education Building. Our council officers meet the second Thursday of the month, to handle paperwork and prepare for the monthly council business meeting. Members are encouraged to attend both. We also provide a number of activities aimed at fostering family unity and participation. For the parish youth, we sponsor a Soccer Challenge in the fall and a Basketball Free Throw contest in January. Contest winners progress to local and state level competitions. One of the winners of our council’s 2007 Free Throw Contest went on to the State of Texas level contest and took first place in her age group. 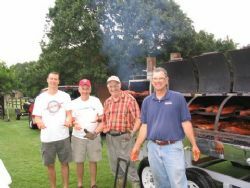 Several social events are held during the year to provide an opportunity for Knights and their families to relax, share fellowship, and have fun! 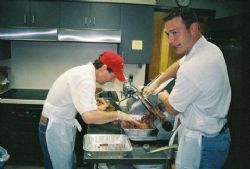 We also serve and support on another such as visiting Knights and/or their families while in the hospital, provide meals during life’s most trying times, assisting in residential moves and even rebuilding some framing and replacing siding on a brother Knights home. Our council currently has over 350 members. 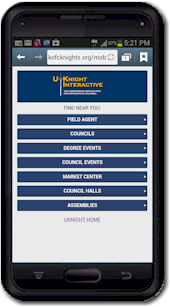 We encourage our members to participate in which ever and as many of council activities as their schedules permit. This may be attending the monthly council business meeting, to coordinating our annual golf tournament. Our first request we ask is for your prayers. Without your prayers, our many activities would not be as successful and fruitful. Secondly, we ask that you find the one activity we do that interests you. The hard work you put into any of our worthy causes are paid back to you one hundred fold in grace and satisfaction that you are making a difference in someone's life, our parish, and our community. We are always looking for new ways to serve. If we are not currently doing something that you have a passion for, bring us your ideas let us see how we can help! Our monthly meetings are held on the third Thursday of the month in Room 109 of the Education Building. Our council officers meet the second Thursday of the month, to handle paperwork and prepare for the monthly council business meeting. Members are encouraged to attend both. We have a strong, growing and vibrant council, with all of us doing a little; we can and do accomplish much! Please join us; we would be honored to get to know you. This Overview Booklet will provide additional information about what it means to be a member of the Knights of Columbus, or see Why Join!